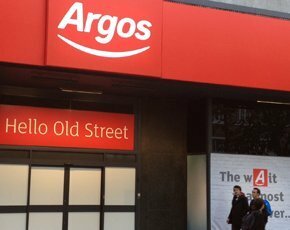 Argos has unveiled its first digital concept store, as part of the retailer’s aim to become a digital retailer over the next four and half years. The Old Street store in London is the first of six digital concept stores which will hopefully be opening before Christmas. The store aims to seamlessly tie together Argos’ online, mobile and in-store shopping channels. While online channels are becoming more and more important to retailers, Argos believes its store is still incremental to its business, with 50% of customers starting their journey in an Argos store, so it is trialing digital stores to engage its customers with technology. After a disappointing couple of years ending in 2011, the retailer analysed its business and realised it needed to improve its customer service. Around 90% of Britons live within 10 miles of an Argos store, and MD, John Walden, claimed it was the first to pioneer the Click & Collect format in retail.